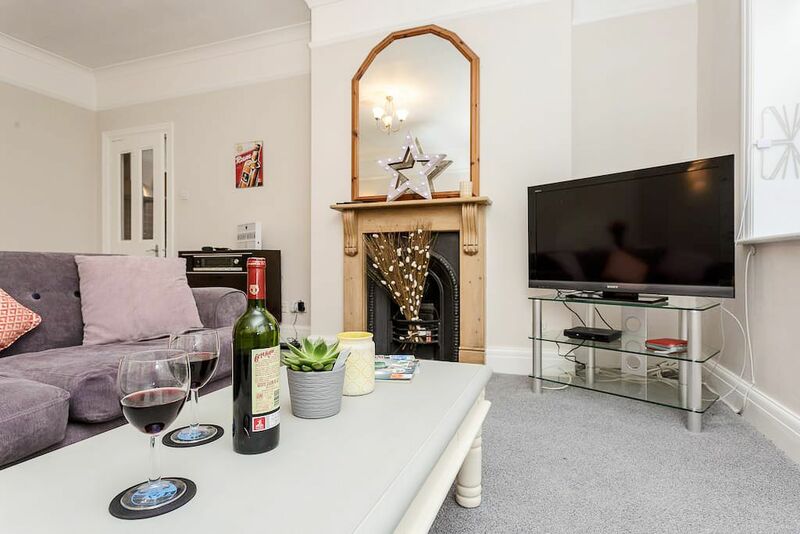 Enjoy sunny Southsea from an awesome central location, surrounded by plenty of bars and restaurants and 2 mins to Southsea shopping precinct. 10 min walk to the beach and 25 mins to Gunwharf and the historic dockyard. Come back from a day of sightseeing to enjoy a stylish pad that's equipped with everything you might need to really enjoy your stay. Whilst being in the midst of central Southsea it is also lovely and quiet as faces away from the main road looking out to a quiet vale to the rear. Bright and airy apartment with high ceilings and plenty of space.